…Is the Arlington Resort Hotel Haunted? 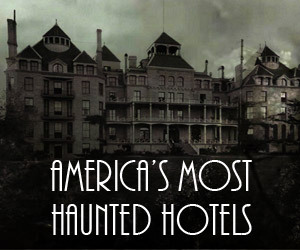 The hotel very well seems haunted, yet management may be keeping a tight lid on any ghostly scuttlebutt. Reports have it that several rooms within the hotel have been permanently locked, and some have even been walled up to prevent both guests and hotel staff from entering. 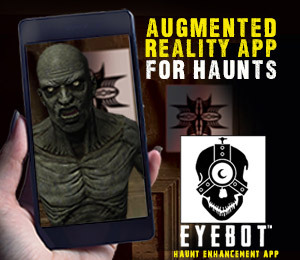 If that doesn’t give you enough pause to wonder whether the rumors of haunting are true, not much will. Employees have been willing to talk, but quickly tighten their lips as if they were told to keep quiet. The bartender confessed to a particular bottle of wine continually jumping off the shelf with several guest-witnesses but it’s not often you’ll get someone to fess up. 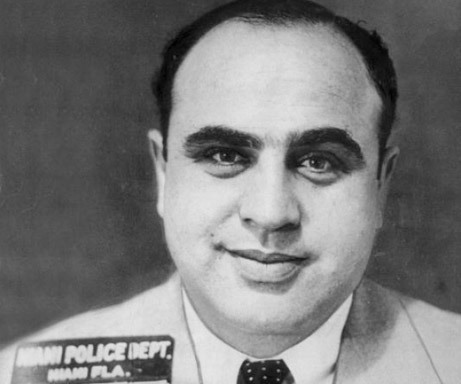 Al Capone would rent the entire 4th floor for his crew of bodyguards and gangsters. 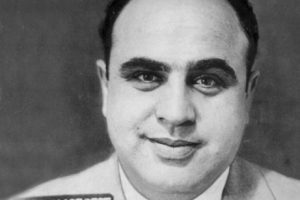 His favorite was the Arlington’s room 443 where Capone could see what was happening at the Southern Club across the street. Southern Club was a gambling and entertainment joint that opened in 1893. Guests and employees have said that the elevator mysteriously will open, travel to the 4th floor and stop as if to drop someone off. You can even rent the Capone Suite if you want to experience the perks of Scarface and his crew. 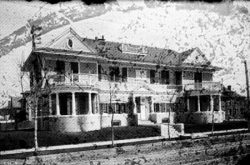 Many rumors circulate about the Arlington Resort Hotel being haunted. By whom or what and why it’s tough to get the stories straight. The building does have quite a history though. 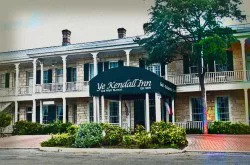 The hotel was originally four stories and built in 1875. In 1892, the original building was razed and replaced by a larger brick building. However, the new building was destroyed by a fire in 1923. 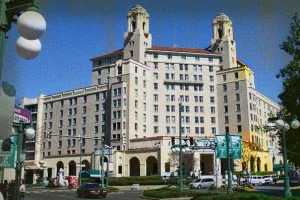 Afterward, it was replaced with the Arlington Resort Hotel that remains standing to this day. The history of the hotel causes one to wonder whether it is the spirits of some who possibly died in the fire that haunt the hotel. The 7th floor is said to have some strange goings on in a particular unnamed room. People have the feeling of being tapped on the shoulder or brushed up against yet nobody is near. Employees have said that their hair had been pulled slightly with no one around. The ghost of the bellman is said to walk the 4th floor. On the 11th floor, a man’s laughter is heard near the elevators yet no one is around. A man wearing a black suit has been seen in the laundry room. Room 443 is where Al Capone would stay. Some say room 824 houses an evil spirit, but the stories are not corroborated. A guest did report an experience there, but the spirit’s nature did not appear malevolent. It’s said that room 666 was changed to 667 because of the negative connotation and many reports of hearing strange things in that room. The boarded up rooms are said to have doors that slam shut and ongoing whispers and conversations from time to time. Those are supposed to be built into the mountainside with no running water or electricity. I just stayed in the Arlington on January 11-13 2018. And it is true that a mans laughter can be heard. Also on the 5th floor (the floor I stayed in) in the conference room it will get very chilly then warm up at random. And in the 4th floor bathhouse and vending machine area, you can hear knocking on the service elevator. And Ghost Hunters have actually been there. The Tv will change channels, things will knock on your door. It’s really creepy. If you go up on the stairway past the 7th floor you’ll get yelled at and told you can’t go up there. Apparently they lead to the bell towers, where you are supposed to be able to see a young woman dressed in a wedding gown looking up at the stars at night. 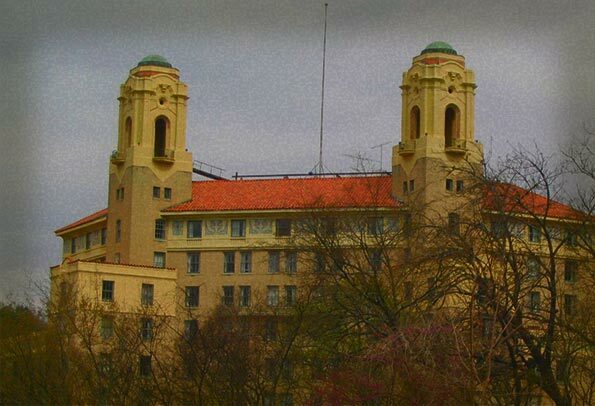 I have never stayed in the Arlington but I live in Arkansas and I go to Hot Springs often. My nana and paw paw take all of us older grandkids to Hot Springs every summer. 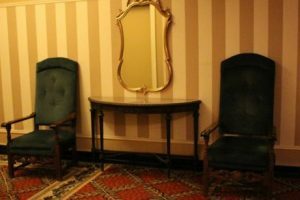 Last summer we stopped inside the Arlington to look around because my nana really likes the Arlington hotel. While I was waiting in a chair in the lobby bathroom area I saw an African Amercian gentleman. He was wearing old-fashioned clothes, he had one of those glass circle things that go on your eye I’m not sure what they’re called, he would never blink, and he would never talk. He would always look straight ahead and walk from the bathrooms to the front door, up the stairs, and back down and repeat those motions. He looked almost transparent but he also looked too real to be dead. He was quite terrifying but I’m not sure what the deal was. About 5 minutes before I left he was gone and I never saw him again. He did rent out the 4th floor but 422 was not his room it is suite 443. We were in the 4th floor and had trouble getting our door open in room 424 and it was opened when we first arrived while other doors were closed so we set our stuff out and the 3rd time we tried to get in the door wouldn’t budge so we went to get maitneince and soon as they came the door opened and we made it in. It was the 4th floor so. 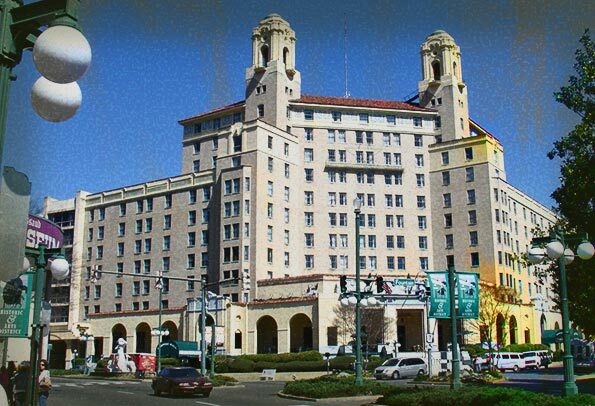 I attended a large conference at the Arlington Hotel in Hot Springs, over a 3 day 2 night event several years ago. No question, its a place with a lot of ‘paranormal’ activity. The temperature in our room would inexplicably go from too cold to a odd stuffy ‘hot’, especially during the night. … even with windows closed and the central air fixed at 72 degrees. The phone in our toom rang 3 or 4 times, in the middle of the night, with no one on the other end. When we called the hotel operator, she told us no one had called. I was speaking to one of the hotel employees about this, a kind older lady who had been working there for over 30 years. 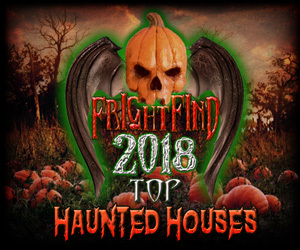 She told us the employees were warned by the management not to talk about these ‘unusual acvity’ incidents as the hotel was struggling financially, and the management did not want to discourage guest bookings with ‘ghost’ stories. She had some amazing stories of apparitions encountered by hotel employess & guests. She also spoke of the lobby bar piano, which is a standard baby grand piano (not a player piano), that would start playing by itself late at night when the bar was closed. The management eventually moved the piano into a store room. 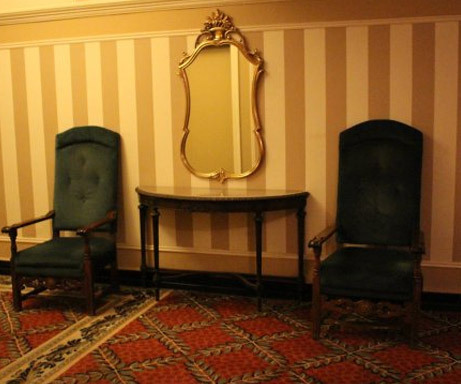 Some rooms are in dire need of major upgrades….but the hotel is full of character, and unusal activity. Staff were awesome. Location is great. 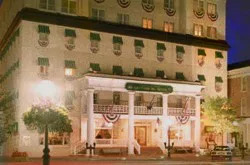 Unaware of any “haunted” stories, my husband and I booked a room at The Arlington several years ago. We arrived after dark and were very tired from the long drive. We were very impressed with the staff and the beautiful, historic hotel. Our room was on the 4th floor almost directly across from the elevators. We unpacked, showered and decided to get into bed to watch tv for a bit. Our room had an adjoining room door next to the tv/dresser. After a bit, my husband fell asleep and I was reading something on my iPad….television still turned on. Suddenly, I heard the door knob on the adjoining room door (directly) across from the foot of our bed) start to turn. At first I thought maybe it was something on the tv so I quickly turned on the lamp and turned down the volume. I did not hear anyone next door in that room. Then…it happened again, this time with a bit more force. It was a light bumping sound and the door knob was slightly turning. I could hear what sounded like people whispering. I PANICKED. I was so scared I couldn’t move for a moment. My only thought was that whoever was in that room was about to come in and rob us or maybe just drunk and playing around. After a few seconds I can remember taking my arm and flinging it on my husband to wake up. I was sitting straight up staring at the door. When he finally realized something was going on and saw the knob turning…he yelled out….”Hey we are in this room….you can’t open this door.” He instructed me to immediately call the front desk, which I did. I explained that she needed to let the people next door know that we are in the adjoining room and to please stop messing with the door. I was informed that no one was in that room, nor was it ever used due to a maintenance issue. I firmly told her someone was in there. She said it was probably housekeeping or the maintenance people working on repairs. IT WAS 1:30 AM! Who does that at 1:30 AM????? Still not realizing that something “ghostly” had happened, I decided the next morning to get online and read reviews of issues at the hotel. To my surprise……I found all sorts of paranormal tales. Still not believing, I decided it had to have been employees in there for some reason. My husband, who does not easily get excited, was a bit upset over this as well. He didn’t talk much for the remainder of our stay and actually moved the dresser over the door. While in the car on our way back home, he explained to me that he felt something paranormal had happened. I was baffled by his response. He then explained that the door knob could not have turned and shook like it did from the other side of the door because there is no HANDLE on the inside of the adjoining room doors. He’s right! There is no explanation for what happened and I will never forget that moment. I wish I could rewind and watch and listen more carefully. Yes, we have been back many times but have not stayed on that floor. Baffled and dumbfounded. We stood and stared for a long while the elevator open and closed over and over…. as the reality set in that we entered on the 7th floor and now we are on the 6th floor from simply walking down the hall!!! We turned back and went to the door we had come in from and it was DIFFERENT outside!!!! The hallway was thick and heavy feeling. Drab and humid in the air although I had a chill. The hair stood on the back. As we walked down the hall music and noises and whispers came from behind every room door. We had been put onto another floor. We were PUT onto a different floor!!! I stand now just completely baffled and fully believe in paranormal activity at the Arlington. Before this experience, I had no idea the hotel was haunted. And now that I read other people’s experiences it makes a LOT of sense.